Team Vreeland’s Harley-Davidson Racing is proud to announce multi-time national champion Dennis Waldron has come out of retirement to rejoin Team Vreeland’s. The bracket racing champ will make a big step up to nitro by piloting Vreeland’s Harley-Davidson’s 2010 Pro Fuel bike at all AMRA events in 2019. Vreeland says Waldron will be an immediate nitro rookie of the year candidate. Dennis Waldron in the winner’s circle with his Harley V-Rod Destroyer. 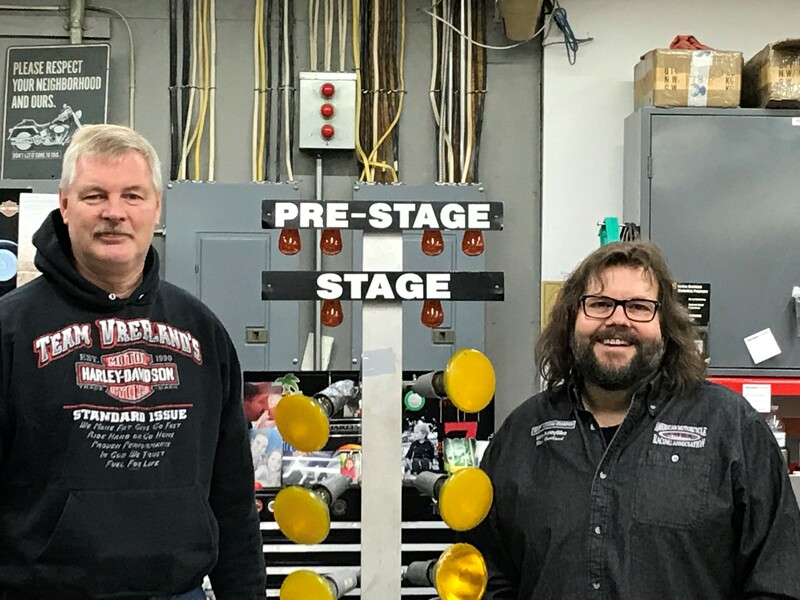 Waldron, the five-time national champion, will join reigning AMRA Nitro Funny Bike champion Rich Vreeland as Team Vreeland’s Harley-Davidson will field two Nitro powered Harley’s for the full AMRA schedule. Vreeland will also compete in Top Fuel this season at select NHRA Mellow Yellow events. Vreeland and Waldron combine for 113 years of life experience and 7 national championships. “Our motto for this season is have fun, race hard and enjoy life at the track,” Vreeland said.